Giving birth is one of the most profound, empowering experiences that a woman and her family will ever go through. Understanding the variables that impact prenatal care & child birth are very important. When we enter into any life experiences uninformed & unaware it can engender both fear & uncertainty. Through support and education we are able to make the choices that are right for us. We are able to enter childbirth empowered. 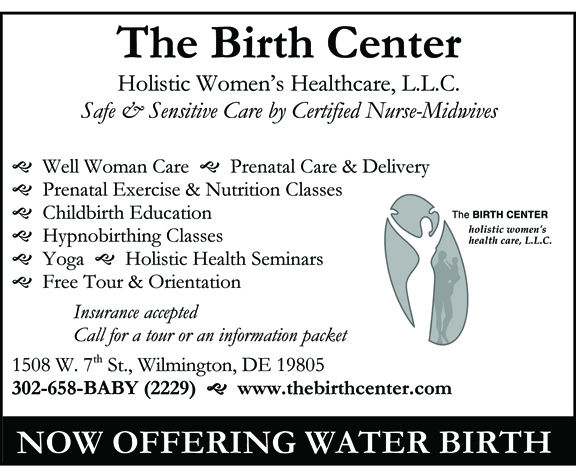 Presently in Delaware, the legal options are giving birth in a hospital or at a birth center. I propose looking at both options and deciding what is right for you. The documentaries “The Business of Being Born” and “Born in the USA” look at the factors that impact prenatal care, birth outcomes & birth choices. For researching birth centers and nurse midwives begin with birthcenters.org and midwife.org. Tour both the hospital & the birth center. You can often get a feel for a place when you speak to the staff & tour the facility. Is the staff informative and friendly? Is the facility accredited? What are the skills of the staff? Are prenatal educations, breast feeding classes, parenting classes, support groups provided? Is there a major focus on nutrition and preventive care? Does the facility engender a sense of safety and comfort? Childbirth is a joint venture between the woman who is seeking care and the healthcare provider who is providing care. We are on equal footing. It is the health care provider’s job to educate, inform, and provide safe and sensitive care and the woman’s job to determine what choice feels right for her. The boutique offers high quality products hand-picked by the nurses & midwives. Kathleen has been practicing as a nurse midwife for over fourteen years. She received her Masters degree in nurse midwifery at University of Pennsylvania. Her present focus is on holistic women’s healthcare, women’s health education, holistic menopause, childbirth education and empowerment workshops. Practicing as a nurse midwife is one of the most rewarding journeys she has ever taken. It has brought her from hospital birth to her beloved home at The Birth Center. She has learned much from her experiences with women and families. Kathleen asserts that women have the right to make well informed educated choices and that all women are powerful beyond measure and have an innate ability to know what is best for them. “The Birth Center is an amazing place!